As it opens, tensions are rising between the Oldtimers, those dragonriders who came forward in time 400 turns (Pernese years) to help the undermanned contemporary dragonriders protect the planet Pern and its inhabitants from the destructive Thread. F'nor attempts to mediate, but things escalate to the point that an Oldtimer, T'reb (who is disturbed by his green dragon being in heat), stabs F'nor. F'nor is sent to the Southern Continent to recover, where he falls in love with Brekke and discovers the wicked deeds of Weyrwoman Kylara. F'lar, F'nor's half-brother, is eventually forced into a duel with T'ron, the leader of the Oldtimers, which ends in banishment for the Oldtimers who will not accept F'lar's leadership and in a grave injury for F'lar. 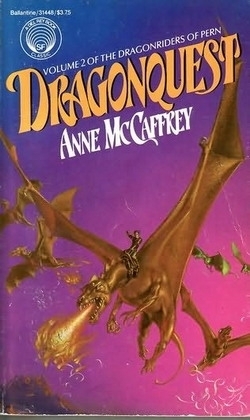 Brekke's queen dragon (Wirenth) rises in mating flight but is attacked by Kylara's queen dragon (Prideth), and both dragons die, leaving their riders in near-catatonic states. Only Brekke recovers, mostly because she can hear other dragons (besides her own queen, Wirenth). With the Lord Holders adamant that the dragonriders attempt to eliminate Thread at its source, F'nor attempts to direct himself and his dragon, Canth, to the Red Star, but they find the atmosphere inhospitable, and they fall back to Pern, badly injured. Brekke's cry for F'nor not to leave her was also the inspiration for a song by Menolly, after she found that a certain guitar chord sounded amazingly like Brekke's voice when she screamed. This is chronicled in Dragonsinger.